Watching horror short films are something I binge watch often. If you are like me, you appreciate them too and their creativity. The Lights Out short received the full movie treatment after going viral on the net a few years back. The Smiling Man and The Birch are excellent shorts too. Watch this video by Looper as they highlight the top 13 best horror shorts films ever. The Hallivis Brothers created a fantastic fan made short film featuring The Joker as a disturbing and intense character, as he should be. 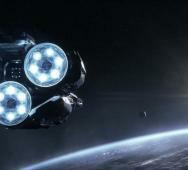 The Hallivis Brothers previously brought us their live-action Sci-Fi short film titled Shifter. This Joker performance and tone of the film is NSFW, so watch it with discretion as it is a film you should watch if you can. Jon Lajoie created this amazing short film video as a tribute to Friday the 13th Part V: A New Beginning (1985). The film is titled “A New Beginning” featuring a trio of kids watching a standard opening scene from any Friday the 13th movie. The couple that they are watching meet Jason in the most iconic way while Lajoie is performing in the background making this a music video. Here is a short film live-action trailer for Deus Ex: Mankind Divided which releases this August 23, 2016. This film is very powerful and is put together in a unique way. You really have to see this film, and hopefully, we get this level of quality in the next installment of Deus Ex. Here is a Japanese short film titled The Showing that has a very bizarre twist ending. Tell us what you think, it is three minutes long. The lady in this film goes through some major scares and frights then the reveal at the end. Amanda B. Goodman‘s vampire horror comedy short film You Only Die Once is a fleshed out 30-minute short film. Watch as three childhood friends and vampire hunters do what they do best, hunt vampires. This video plays like a mix of Buffy meets Hammer Horror Films. Check it out for yourself below. Emma Dark starred, directed and produced this short film titled Seize the Night. This short film video features werewolves and vampire assassins. Currently, this film is making its run in film festivals and will get a limited DVD release afterwards. 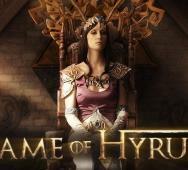 Game of Hyrule mashes Legend of Zelda and HBO‘s Game of Thrones beautifully. This fan film video with a little funny parody humor to it. Megasteakman released the short film that is written, directed, and produced by Kial Natale. Michael Chaves’ The Maiden is a haunted house short film that we think many of you will like a lot. Watch as this real estate agent does anything to sell this house. Great film, some parts are somewhat comedic to viewers similar to an Evil Dead film but altogether, a great short film to watch. Ariel Martin directed this intense and eerie sci-fi horror short film titled The iMom video. Imagine parents leaving their children under the control of a robot mom called The iMom; this slow burn short film delivers a creepy and dark tone. Tell us what you think below and bet it made you think for a minute. 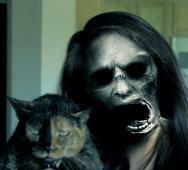 The Face Swap is a fantastic short and scary horror short film. The cat in the photo does not look happy, but the face beside him is just the tip of the iceberg, what is revealed to be the creature at the end of the video is far better. 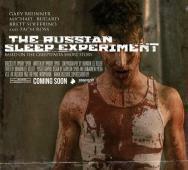 You have to see this video by No Sleep, good work, and we are eagerly waiting for the next horror short film. Stephen Amell (Arrow), Robbie Amell (The X-Files)and Sung Kang (Fast & Furious) are attached to an interesting project that they are trying to turn into a full feature film titled Code 8. This proof of concept short film looks fantastic. As of right now, their Indiegogo campaign is at $472K of their $200K goal, so you already know that we are going to get a ton more than they were originally going to produce. The campaign still has 20 days left in the campaign, awesome! 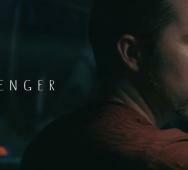 Passenger is a creepy horror short film that is a little under four minutes long. Watch as this guy takes a quick nap in the industrial section of town to wake up to a spooky/creepy looking girl looking to make him into a ghost like her. Ever heard of the female passenger ghost in the car while you are driving, this film focuses on a variation of that story in a slightly different way than traditionally told. 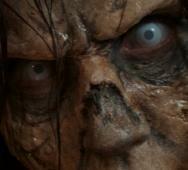 Check out this teaser trailer for supernatural film project titled Ghoster. This film is a film concept created by Toby Meakins, which is going to be more of an action based thriller that centers on a demon hunter set out to destroy demons. We also included some artwork for the project below. 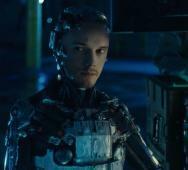 Watch as Anton Yelchin leads the robots to fight back in this new sci-fi short film titled Rise. This film is directed by David Karlak and writers Marcus Dunstan and Patrick Melton (Feast (2005)). This video is a proof of concept video with the hopes that this will become a full feature film. This film has great special effects and adding Rufus Sewell in the cast is a major win. The filmmakers raised $38,000 in which they turned into this film. Good luck to them and hopefully we see a full feature film soon. 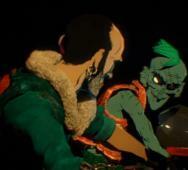 Check out this Vimeo Staff Pick animated biker zombie short film named Horde. Thanks to BRVTS Collective for creating this film. The action is exhilarating, and I like the flashing black screen to intensify further the scene. Tell us what you think of this film in the comments below. Watch this sci-fi comedy short film titled 2048 about an all-powerful computer that is slowly crushing society into conformity. 2048 has received a Vimeo Staff Pick award. Taz Goldstein directed the whole short film in his living room including three cast members and one crew member. 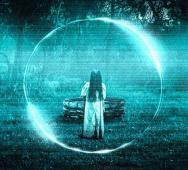 Check out this video of what The Ring would look like if it were made in 2016. This is not a recut trailer so you are in for a treat. Thanks to Geeksoutside for creating this video. Tell us what you think in the comments below. This has to be one of my favorite Star Wars fan films ever, Darth Maul: Apprentice is filled with action, suspense, and more action. Shawn Bu produced, wrote, and directed this terrific film. This video features a proving point for Darth Maul to assume his position as top commander to Darth Sidious. There is no connection to the Star Wars films but the action and a feel that is amazing. 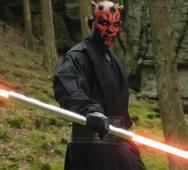 Darth Maul commences attacking a small group of Jedi Knights. The fight choreography is very impressive and you are going to love it! I grew up watching Fred Dekker‘s The Monster Squad (1987) and I am glad to see someone out there has created a trailer for one of my favorite childhood horror movies in a Suicide Squad style mashup video. 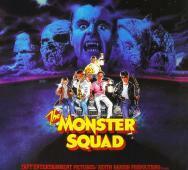 Both videos are included below, titled “New Suicide Monster Squad Trailer” and “Monster Squad and Suicide Squad”. Thanks to thatmattcaronguy for creating and sharing. I am digging this horror short film trailer for The Cleansing Hour. It has all the right elements in a very well done trailer below. The poster is just as good with a tagline that reads “Stream No Evil.” Sam Jaeger (Parenthood, American Sniper), Heather Morris (Glee), and Neil Grayston (Eureka, Daredevil) star in The Cleansing Hour. Oliver Park‘s short film Vicious has won eight awards internationally including the Gold Award for Best International Film at Toronto After Dark and Platinum Award at the LA Horror Competition. Lydia (Rachel Winters) recently lost her sister Katie (Isabelle King) and one night comes home to discover that something has entered her home, what could it be? The entire film is available to watch so what are you waiting for, watch it now and don’t forget to like, comment, and share this. 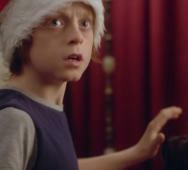 Francois Ferracci directs the second in his Lost Memories short films, Lost Memories 2.0. Inspired by technology and where it may lead us, this sci-fi short film is fascinating. Be warned, there are some NSFW scenes so watch in an appropriate place. Antonio Maria De Silva released his sequel to the successful Hell’s Club video, Hell’s Club Part Two: Another Night. 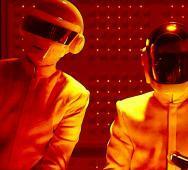 The video is awesomely filled with some of Hollywood’s most iconic characters in a fictional bar called Hell’s Club. Nothing makes sense logically, but you cannot help watching and enjoying the video. This time, Alien Xenomorphs attack the club and all Hell breaks lose, had to through that in there, enjoy. Before Tim Miller directed Marvel’s Deadpool (2016) movie for 20th Century Fox, he directed a DC Comics superhero short film for DC Universe Online. I remember watching that cinematic trailer thinking “Is there going to be a fantastic new DC game? I wish they made a DC film in this style too!” Take a look down memory lane and watch this stunning DC video again. The entire Justice League shows up to do battle with the DC villains. Ever thought what would happen if Batman was around when Jack the Ripper stalked the streets, maybe not but here is a cool fan film featuring such a tale. James Campbell directed this short film that takes place in London, England in the 19th century. You can really see that some inspiration was taken from John Carpenter. Like always, watch the video, like, comment, and share. 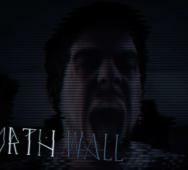 The Fourth Wall is a low budget horror short film that is pretty impressive and shows that work and thought went into creating this video. This film is created by a group of Portuguese film students who wrote, produced, and filmed this video. Check it out and tell us what you think of it below. Brian Rosenthal directed this new short film titled Ash vs Lobo and the DC Dead featuring many characters from the DC Comics and Marvel Comics Universe (MCU). 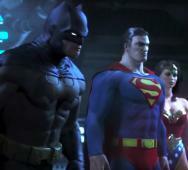 Such characters from DC and Marvel include Batman, Green Lantern, Green Arrow, and Gwen Stacy. Tell us what you thought of this video in the comments below. Natalie Dormer‘s The Forest (2016) is inspired by the real suicide forest, Japan’s Aokigahara Forest aka “Sea of Trees”. This real life suicide forest claims over 100 victims each year. 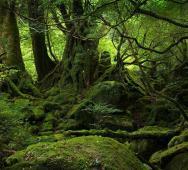 The Aokigahara Forest sits at the foot of Mount Fuji. This is a short film documentary spanning 21-minutes, directed by Santiago Stelley and a Vice Media production. Tell us what you think of this video below. 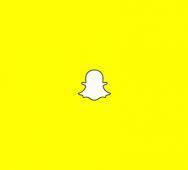 Filmmaker Roberto Raad brings us his horror short film Snapchat Horror. The video teases a lot of scares and suspense with a very unexpected ending. Get creeped out as a woman starts receiving Snapchat messages from her deceased husband with realtime updates of her as the video progresses. Don’t forget to like, share, and comment. Ben Franklin directs while Bloody Cuts Films releases their new Christmas horror short film “This Christmas… Evil is Back.” There is a lot of build up to the scare, but thankfully this film is short at five minutes long. The scare is well worth it and will make you want to replay the scene at least. This is a mashup video that mixes The Simpsons, and You’re Next (2011) into some really violent content. Lee Hardcastle did some amazing work with this video and the claymation. The classic couch gag from The Simpsons is something that could easily top most of the Halloween specials on The Simpsons but never will get the chance to. Marco Kalantari directed The Shaman short film, and it is one of the best sci-fi short films of 2015. The video is a little over 16 minutes long, and the poster shows some impressive scale for the production of your usual short film. This short film premiered at the Tribeca Film Festival in 2015 and was referred to as “mind-bending.” The scenes are spectacular and on par with big budget movies. 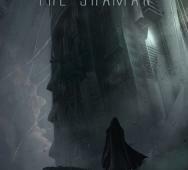 Tell us what you think of The Shaman short film in the comments below. 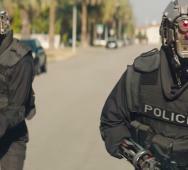 CorridorDigital released their Wizard Cops short film that takes a hilarious spin on popular Cops TV show. They even went so far as to create their version of the Cops theme song, awesome! Tell us what you think of this video in the comments below. Beware, this video may contain some funny Wiccan situations. 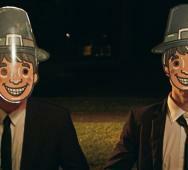 Invaders is a gory horror comedy short film taking place during Thanksgiving at night. Thanks to Jason Kupfer for creating this hilariously funny short film. These two men try to invade this home, and it just spirals out of their control. Leave your comments below and don’t forget to like and share. 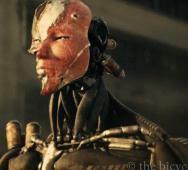 Short film Singularity is am impressive action-packed Sci-fi video with Androids vs. humans. Director Samuel Jorgensen did a fantastic job that even James Cameron (Terminator franchise) would enjoy. These sentient androids have one last surprise for the human Delta team sent in to save the US president. After watching the video, check out this; Singularity was funded on Kickstarter with only $10K, what great production value! Les Liens De Sang (Blood Ties) is filled with so much feeling and elegance that it is unbelievable that all of this could be captured in a short film video in under 4 minutes. Creators Sophie Kavouridis, Manon Lazzari, Marion Louw, Simon Pannetrat, and Thomas Ricquier did an astonishing job bringing this short film to life. Tell us what you think of the beautiful short in the comments below. This live action Halo vs Destiny video, Spartans vs Gaurdians, is packed with actual references to the games and above all else, is funny and action-packed. The short film is under 2 minutes and a half but is highly entertaining. 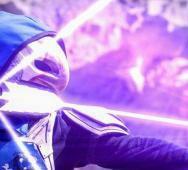 The cosplay and visual effects are stunning. Stay tuned to the very end for a wonderful surprise from Darth Vader himself so you do not forget the dark side of Star Wars. Thanks to Freakin Rad for creating this video. Karl Hirsch released a short film about a scary clown. The film was shot on a $100,000 budget and originally filmed way back in 2005. The film gives time for build up and suspense with a total duration of around 20 minutes. 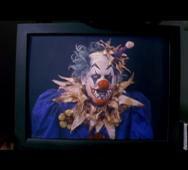 There are several clowns in this short, so we hope you have a good scare. Michael McColl stars and co-wrote the short, with co-stars Gwyn Fawcett, Johnny Ray Meeks, and Bob Clendenin. One of my all-time favorite Creepy Pastas is The Russian Sleep Experiment Creepy Pasta. I think making this Creepy Pasta into a short horror film is the great idea so it would be short on filler. The poster looks very unattractive, but that should not deter you from watching the trailer below. Gary Brunner as the Russian Scientist, Michael Bugard as Dr. Felix Nast, Brett Sulferino as Ulrich Shultz, and Zach Ross as Hanz Berlitz star in the short film. 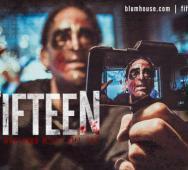 Blumhouse Productions released their Gavin Michael Booth live horror movie titled Fifteen horror short movie. The short film is using Twitter’s Periscope app, broadcasted on October 29, 2015. The poster is a little bland drawing attention to the tagline that reads “Not watching might kill you.” The film is about a serial killer broadcasting his kills live via Twitter. Tell us what you think of this movie and the new Twitter app features. A few years ago, short film Hellraiser: Origins was originally pitched to Dimension Films as a Hellraiser Reboot by Mike Le Han and Paul Gerrard. The pitch was either passed on or ignored by the studio and forgotten. 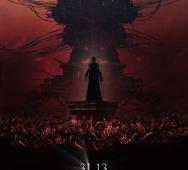 We get to see Pinhead in Hell in the short film, and it looks pretty good. Tell us what you think of Hellraiser: Origins in the comments below. 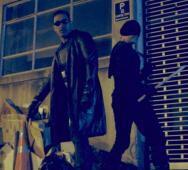 We hope you enjoy this fan film featuring Marvel’s Daredevil and Blade vs. Vampires video. TronCity Films created Daredevil: Bad Blood for all you fans who imagined a Netflix Daredevil teamed up with Wesley Snipes to fight vampires in Hell’s Kitchen. Ben Corcoran directed the short film with Sasha Nixon as Daredevil and Jhonny Matiu as Blade. Daredevil: Bad Blood is a little under 9 minutes long and worth watching. 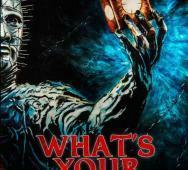 This Hellraiser franchise inspired short film is titled Hellraiser: What’s Your Pleasure. This film was written by Darren Orange and Matt Forbeck, Darren Orange directed the film. There are a few Cenobites and the Lemarchand box in the film too, but overall the short film fails at pulling off a decent crack at the Hellraiser feel. I am pretty sure Doug Bradley‘s voice was used for Pinhead right out of previous Hellraiser films. Clive Barker would not be too impressed I am sure. Not one of the better horror short films I have seen, pretty bad actually. You can watch the 11-minute video for yourself but do not get your expectations too high. Michael Evans brings us an incredibly creepy horror short film titled 2AM: The Smiling Man that is very simple but also very scary. 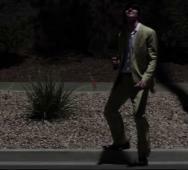 The video centers on a man encountering a creepy man 2 AM in the morning. Do not want to spoil it but this short film is pure gold. Lots of mood and tension so kudos to Michael Evans for delivering an excellent film. Do not forget to like and share with your friends. Adam Green has shared a very funny horror short film Monster Problems that shows us some issues monsters go through via ArieScope. In this video, monsters are hiding to get the drop on a little child when he dashes to the bed and goes under the covers. It is as he is under a protective barrier. 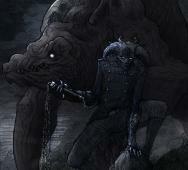 The monsters must get this little boy while staying away from the dreaded nightlight. This video stars Derek Mears, Colton Dunn, and Kelly Vroomanas. 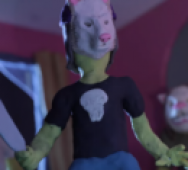 This is Adam Green’s 17th annual Halloween short film. Enjoy this stunning new sci-fi short film titled “NO-A”. 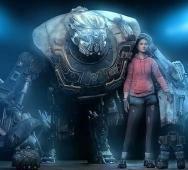 Liam Murphy directed the short film, and it looks breathtaking with its awesome CG animation. A team of eight talented students created this short film as an award-winning graduation film for the Savannah College of Art and Design. The robot moves like a real gorilla that would make even Andy Serkis (Dawn of the Planet of the Apes (2014)) tip his hat in appreciation. Although the film is short, there is a lot of emotion that can be felt from what transpires in the video, similar to a good Pixar or Dreamworks film. 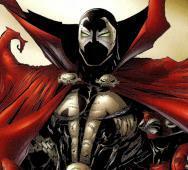 Spawn has had a very rough time, both in the live action adaptations and the animated versions. Thankfully, Irissee has created one of the most wonderous and beautiful Spawn films ever. You have to wait until around half of the video to see Spawn, but the special effects do him justice. We also see “The Witch” who is another character with incredible powers. Enjoy the video and leave your comments below. In what can only be described as a great piece of Marvel fan film and originality, we have She Thor vs Zombie Hulk. Milton Pool of Miltonius Arts released this gem of a short film that took him six months to create. The art, color, attention to detail and action all mesh beautifully well. This is an excellent film that I hope gets many more added to the series. 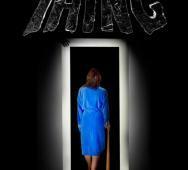 Alrik Bursell‘s horror short film Strange Thing comes complete with a poster, synopsis and of course, the short video. What is it about people and opening strange doors. The short film does build up in time and is a little boring in the beginning as the suspense/story develops. The ending was done nicely. I thought the acting spoiled some of the elements for me. The poster, acting and setting are all expected with a low budget film so that must be remembered when judging. Watch the short for yourself and tell us what you think of it. 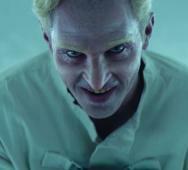 Karel van Bellingen wrote, designed and directed this sci-fi action short film titled The Leap. The story sets place in the future, the year 2069. The story is great in production value and very touching, The 30-minute long short film may seem long, but it is definitely worth watching. 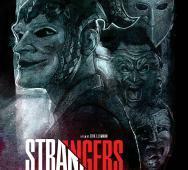 Erik Lehmann has written, produced, edited and directed this new short film titled ‘Strangers’. Donvan Price has walked out on his date and wakes up in his house disoriented to find four masked men in his home. Starring in this short film are Michel Schueler, Barbara Meier, Dominik Hermanns, Volkram Zschiesche, Christoph Drobig, Todd Charmont, Sebastian Rein and Kai Holzapfel. Creepy Crawly details are slim but we have news from the press release. A terrible creature is hungry for human flesh. 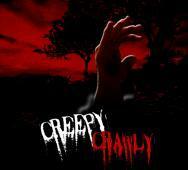 Creepy Crawly is a new short film. The film will mark the first collaboration between indie horror filmmakers Robert J. Massetti and Jason Daly.